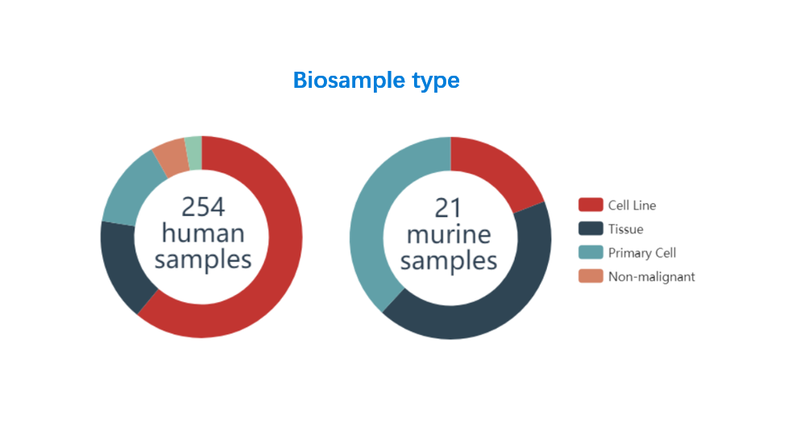 dbInDel contains 640,439 insertions and 157,566 deletions in 593,676 putative enhancers detected from 254 human and 21 murine samples based on computational analyses of H3K27ac ChIP-Seq data (for detailed information, please see Statistics). 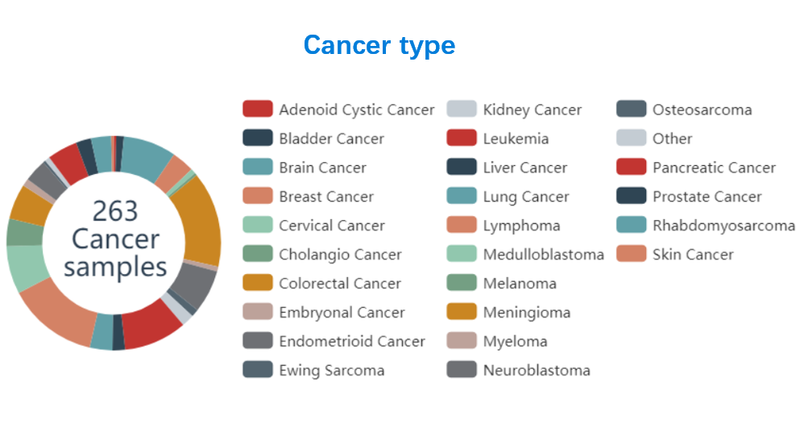 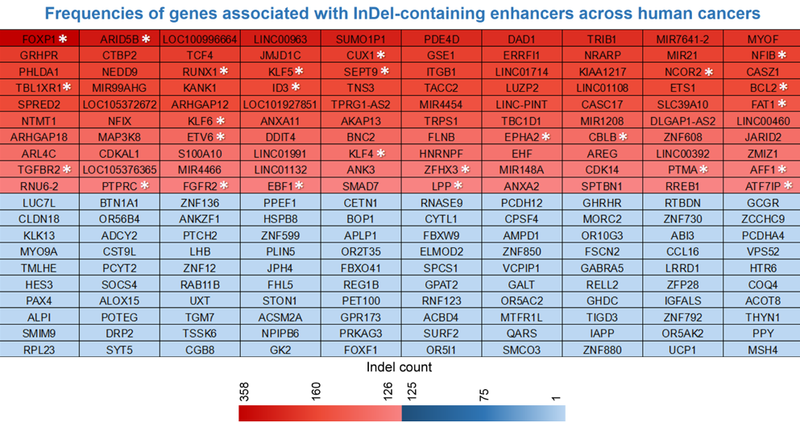 To facilitate the analysis of target transcripts of indel-containing enhancers, the website integrates mRNA expression data and survival analysis in tumor and normal samples. 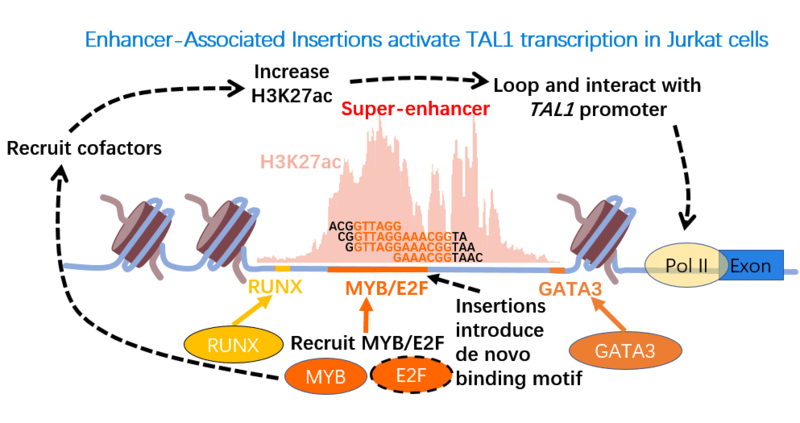 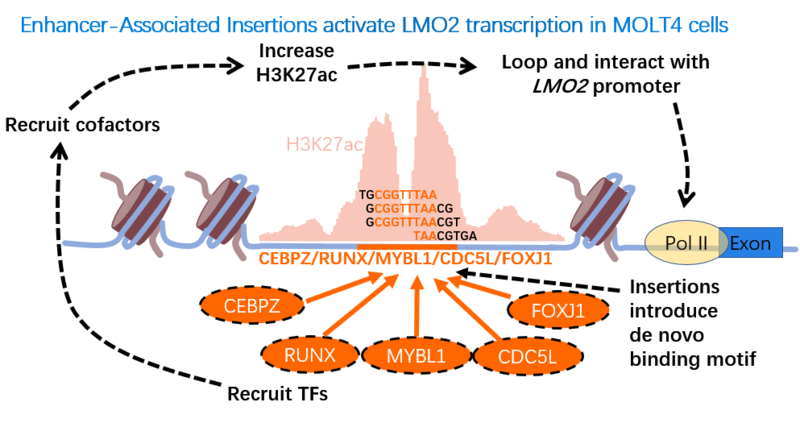 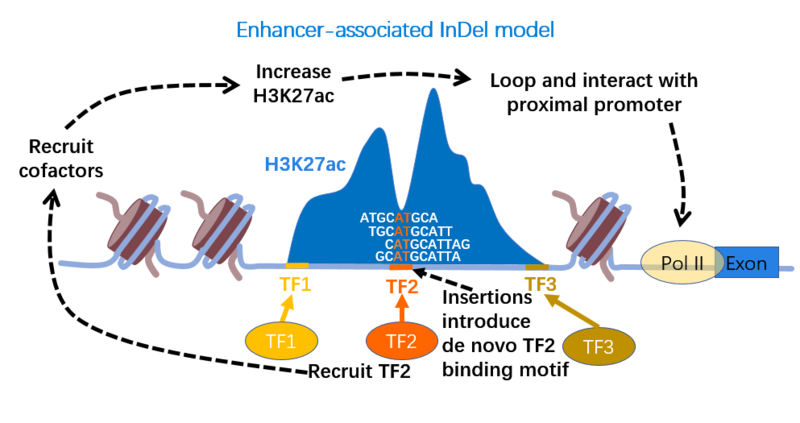 Moreover, our database identifies the potential recruitment of transcriptional factors as a result of enhancer-associated indels.